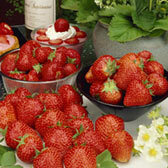 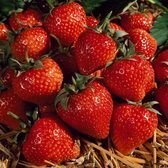 Strawberries have become synonymous with the British summer, often conjuring up images of a warm day eating Strawberries coupled with a helping of fresh cream. 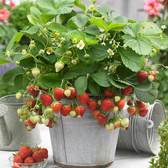 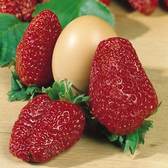 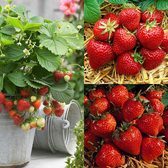 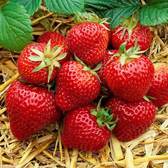 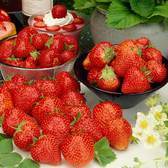 Our range of Strawberry plants for sale now will crop at various times over the summer months, are disease resistant and are all reliable cropping varieties. 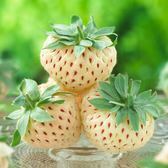 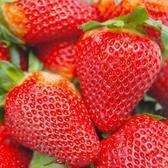 We recommend the popular 'Cambridge Favourite' variety for cropping mid-season, 'Senga Gigana' for the largest sized fruit or why not opt for the unusual white, Pineapple tasting 'Pineberry' variety.